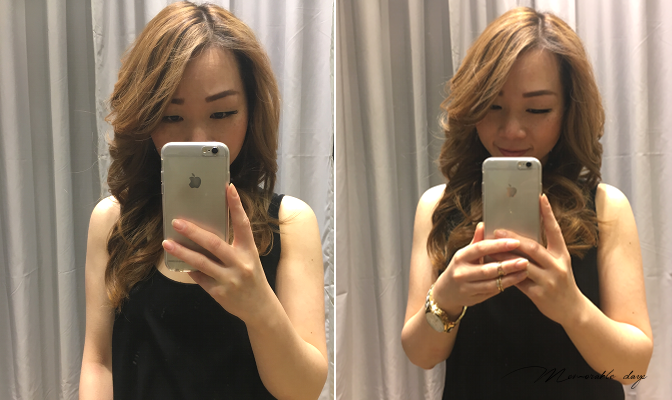 My Hair Transformation at Aveda Lifestyle Salon + Giveaway | Memorable Days : Beauty Blog - Korean Beauty, European, American Product Reviews. Hi lovies! If you have been following me on Instagram you have probably seen that I have had a hair transformation! It has been 3 months since I dyed my hair for the last time, so it was time to dye my hair again. I was invited to go to the Aveda Lifestyle Salon to experience their hair color treatment for the Love Your Color campaign. You will read my whole experience in today's blogpost including my before and after pictures, the whole process took 4 hours and it is a big change for me! 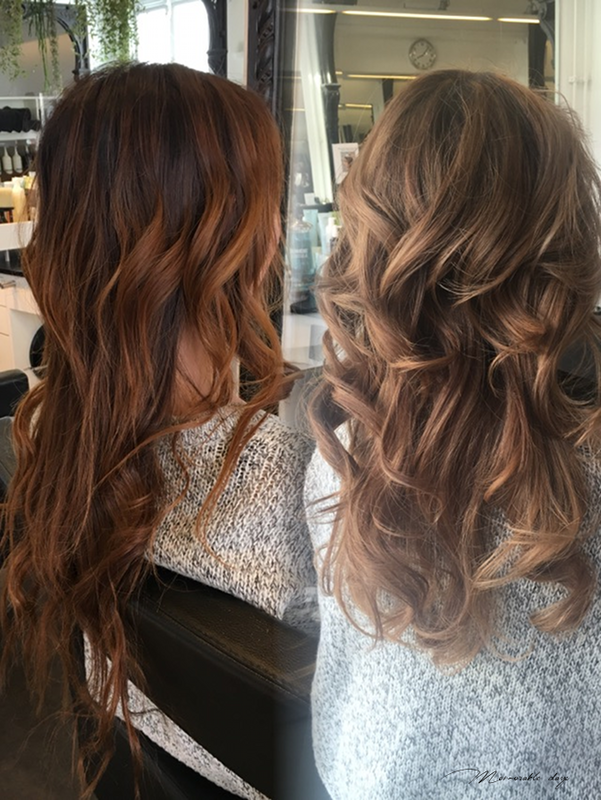 Make sure to read the whole blogpost since it includes a giveaway where you can win a color treatment at Aveda! Are you ready? HOW OFTEN DO I DYE MY HAIR? I have been dying my hair since I was 16 years old. I never liked my natural hair color since I think it's too dark for my pale skin tone and it just doesn't match. That's the reason why I always dye my hair and it makes me feel more confident. I don't really have a fixed date when I dye my hair again, I don't always go to a salon as well since it cost me a fortune to go there every time. 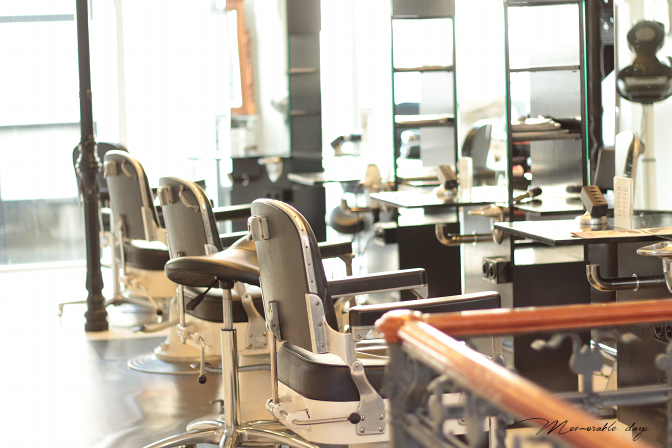 Once I arrived at the salon I noticed the very relaxed and fresh atmosphere in the salon. 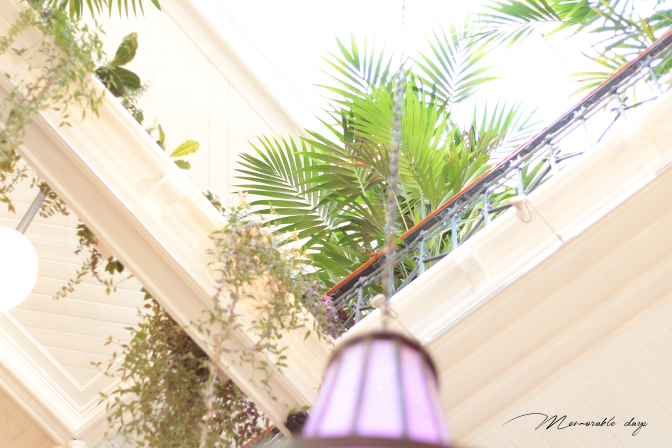 The building is gorgeous with the nice natural lighting and the interior is inspired by the nature which suits the brand a lot. They gave me an Aveda tea (my favorite!) to start and I had to answer a few questions related to my hair, so they can try to fulfill my needs and give some tips to keep my hair in the best condition. I thought the stylist would be going through this questionnaire that I had to fill in but he didn't, which I thought was weird. Anyways, once sat I had a small talk with the stylist and he asked how I wanted my hair. He was very friendly and took time to discuss it with me and showed me a color scheme so I could point out the color that I wanted. Stupid enough I didn't prepare any examples and pictures how I actually wanted to have my hair, but I thought the stylist knew what I wanted. I explained to him that I wanted to have an ash brown color and a balayage* and I picked out the color: blushed copper. He explained to me how the process will be and which products he will use. Their hair color products are 93% naturally derived from plants, non-petroleum minerals or water. As you know, coloring your hair is damaging but when I heard that their products were 93% naturally derived, made me wanted to try it. 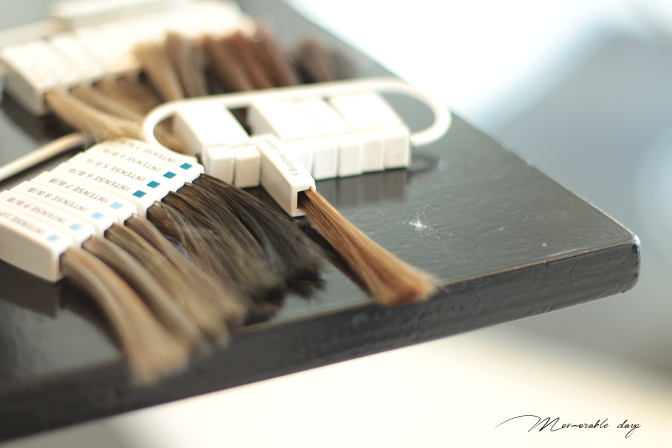 *Balayage - is a French word meaning to sweep / to paint. 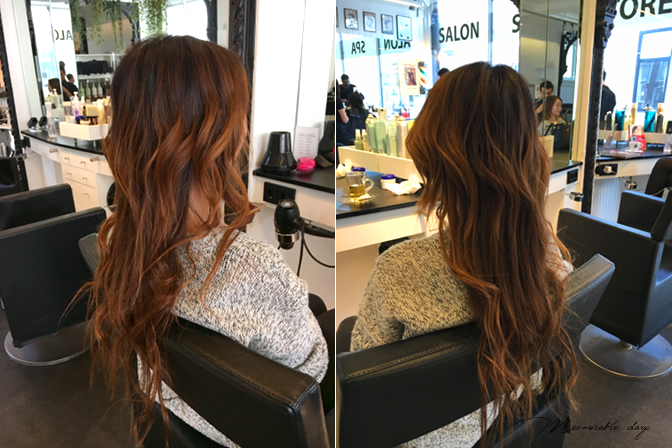 It's a technique in the hair color world to get a natural looking hair colour with softer, less noticeable regrowth lines. After the talk, the stylist gave me a neck and back massage before the hair treatment started. They do this for every client before they start the hair treatment just to loosen you up a bit and make you relaxed. This really is the first salon that I know who gives that to their clients. A big plus I would say! Since the process of the hair treatment is pretty long, he also gave me a hand massage which is also part of the whole Aveda experience. Instead of looking on the phone or magazine during the waiting time, they give you a hand massage to make your waiting time worthwhile and your mind even more relaxed. 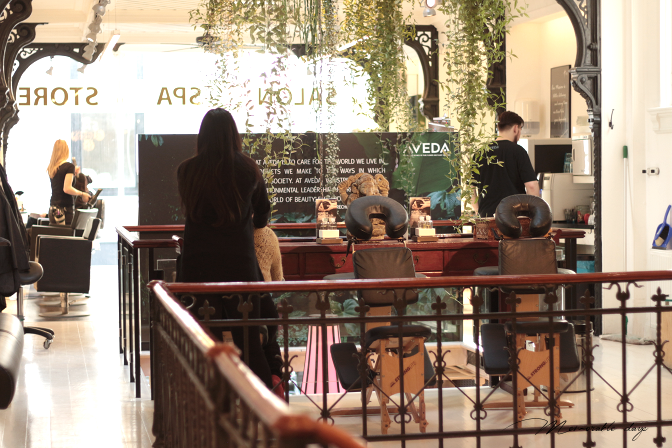 The whole Aveda experience is just to make you more relaxed while getting a treatment and that definitely worked out for me. I got to say, their washing chairs were also very comfortable since I almost fell asleep there, oh my hahah. A lot of split ends, orange shade, with multiple colors in the hair and black roots. It really was time to get this fixed! And voila! These are the after pictures. An ashy brown shade with no split ends or black roots. 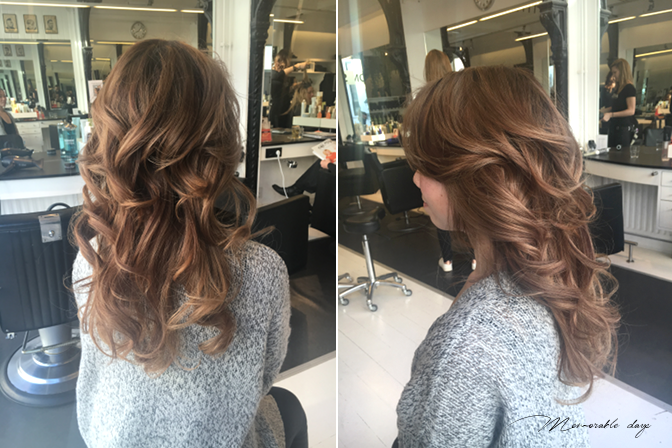 Unfortunately, as you can see in the pictures below, I didn't get the balayage which I asked for. I really think that's a pity since I did ask for it. However, surprisingly, my hair still felt very soft after the treatment. Normally it would feel a bit dry, but that's not the case this time. You can definitely see a big color change and that it looks a lot more healthier than before. What do you think? Overall I am very impressed how nice this hair treatment was. Their service was absolutely amazing. It really was a full Aveda experience with a relaxing tea and different kinds of massages during the treatment. I am quite impressed that their hair products are 93% naturally derived, while they can still create gorgeous hair colors. Guess what?! I can make one of you happy as well! YOU can have a chance to win a free color treatment at the Aveda Lifestyle Salon in The Hague, The Netherlands. Enjoy the whole Aveda experience that I received in this salon. 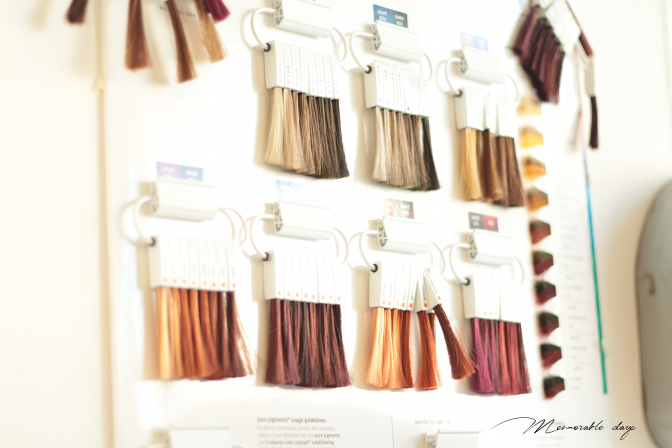 You may decide what you want with your hair, whatever color or style you want! If you would like to enter this giveaway, go to my instagram by clicking the link below - follow me there and tag 2 persons on that picture. I will pick a winner after one week from now, so it ends on the 13th of March 2016. GOOD LUCK! Edit: This giveaway is closed and the winner has been announced on my instagram. note: i received this free treatment from aveda, but this didn't affect my opinion about the service and products that were used.